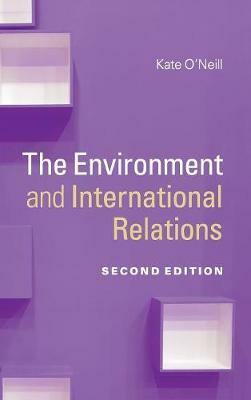 The new edition of this exciting textbook introduces students to the ways in which the theories and tools of international relations and other social science disciplines can be used to analyse and address global environmental problems. Kate O'Neill develops an innovative historical and analytical framework for understanding global environmental issues, integrating insights from different disciplines, and she identifies the main actors and their roles, thereby encouraging readers to engage with the issues and equip themselves with the knowledge they need to apply their own critical insights. Revised and updated, the new edition features new figures, examples, textboxes, and a new chapter on the emergence and politics of market mechanisms as a new mode of global environmental governance. The latest developments in the field, including the December 2015 Paris Climate Agreement, along with new perspectives and recent thinking, are incorporated throughout. This will be invaluable for students of environmental issues both from political science and environmental studies perspectives.